Jay Thompson, owner of Hoosier Barber Shop, had barbered in Indianapolis and Kokomo before moving to Bloomington in 2000. He says in those cities, customers were divided along racial lines. Thompson says that’s what he loves about Bloomington—the diversity of his customers. While international musicians congregate in Bloomington each autumn for the Lotus World Music & Arts Festival, a special program for children brings that same diverse cultural experience into area schools. In September, one musical guest, Betsayda Machado y La Parranda el Clavo, visited Fairview Elementary School for a performance through the Lotus Blossoms Educational Outreach program. 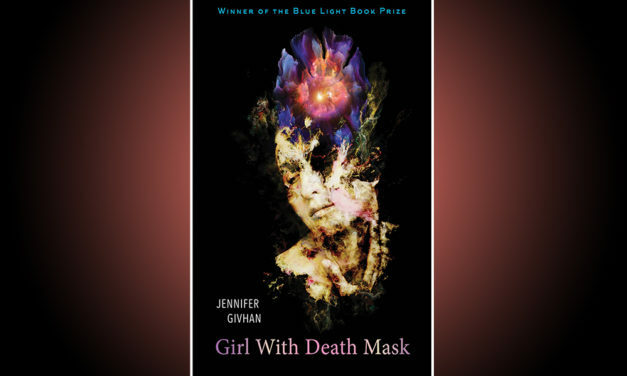 Girl With Death Mask, a collection of sometimes searing, sometimes fantastical, always transcendent poems by Jennifer Givhan, is the winner of the 2017 Blue Light Books Prize.